We are here to present the work of eight printmakers, four from Romania and four from the United States as they respond to the poetry of American born poet Emily Dickinson and Romanian born poet Lucian Blaga. Art about art, or ekfrastic art, is the ability, or desire, of artists, musicians, poets and performers to honor those works of art that had influenced them along their own creative paths. Examples are manyfold but instead of naming the songs to paintings like the Mona Lisa or movies adapted from Shakespearean plays or poetry directed toward classical pottery, we are here instead to present the work of eight printmakers, four from Romania and four from the United States as they respond to the poetry of American born poet Emily Dickinson and Romanian born poet Lucian Blaga. commanding personality of the Romanian culture of the inter-bellum period. university professor and a diplomat. was allowed to publish only translations. In 1956, he was nominated to the Nobel Prize for Literature. He was diagnosed with cancer and died on 6 May 1961.
elliptical language for expressing what was possible but not yet realized. Doug Zucco is a master printmaker and educator who manufactures his own paper through his Fleetwood PA based company White Crow Paper. He was educated at Kutztown University for his Bachelor of Fine Arts in 1978 and in 1980 at the University of Georgia for his Master of Fine Arts Degree. At present, Zucco teaches Printmaking at Northampton Community College and Moravian College, both in Bethlehem PA, with additional teaching experience at Cedar Crest College in Allentown PA and Kutztown University in Kutztown PA. His work has been shown internationally including the PEW Charitable Trust, Philadelphia, PA, Rosenfeld Gallery, and the Getty Museum in Los Angeles, CA. Dan Welden, pioneer of alternative printmaking since 1970, has been in the forefront of ‘health and safety’. 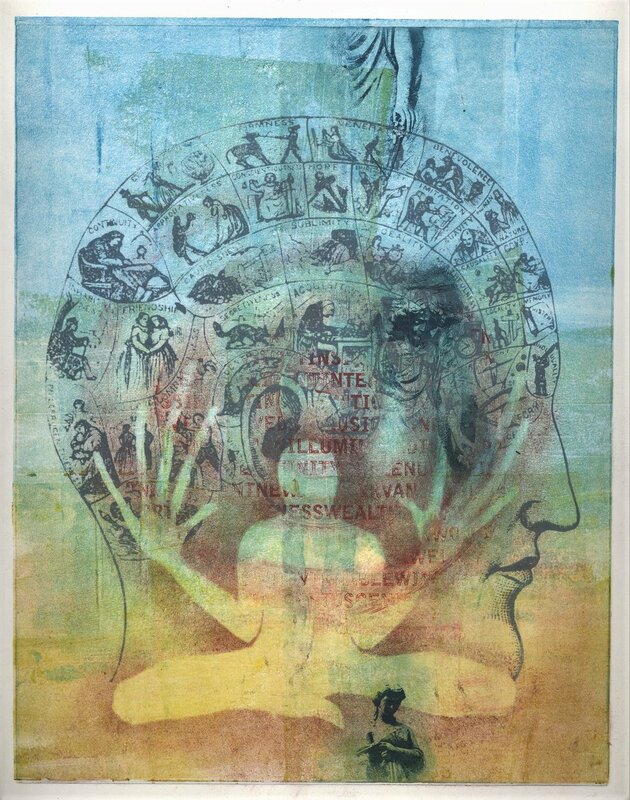 He developed Solarplate printmaking and water based monotypes and co-authored “Printmaking in the Sun.” As director of Hampton Editions, Ltd., he has collaborated with artists including Willem de Kooning, Eric Fischl, Kiki Smith and Dan Flavin, among many others. He received international residency grants for China, Belgium and New Zealand, as well as several domestic awards. His 83 solo exhibitions have taken him to professional visits in 53 countries. In 2016 he received a ‘Lifetime Achievement Grant’ from A/E Foundation. In 2017 he was presented with a Professor Emeritus award from Escuela de Beas Artes, in Cuzco, Peru. His recent ‘solo exhibit’ of 94 works on paper was paramount in The Cape Cod Museum of Art in Dennis, MA. Christina Pumo is a New York City based artist working in photography and printmaking. She investigates the vulnerable nature of human experience in her work, resulting in passionate portraits that intuit an overlap of realism and imagination. Her work has been exhibited nationally and internationally. Christina has additionally had an apprenticeship with master printmaker Dan Welden since 2010 and currently works as assistant to artist and printmaker Susan Rostow, the formulator of Akua Inks. Her work has been seen at Pace Prints Gallery, the Solomon R. Guggenheim Museum, the Guild Hall Museum and the S.C.A.D. Museum of Art, as well as locations in South Korea and Ireland. Stefan Balog was born 1968 in Aiud, Romania. He finished his art studies Bethlen Gabor College and at the Alba Iulia School of Art in Romania. Later, he studied Art and Architecture at the American University of Bucharest. In December of 2007 he finished the Popa’s Academy in Timisoara for graphics and studied engraving techniques with the Hungarian master Kantor Janos. Balog additionally studied art philosophy with the Indian master Chiru Chakravarty. His artworkss have been seen in locations all over the globe. Balog is additionally the current president and founder of the Inter-Art Foundation, an art institution based in his hometown of Aiud, Romania. Alexandru Radelescu Sr. was born October 1949 in Caransebes and graduated from the Plastical Art Institute in Bucharest. Since 1975, his artistic activities include solo exhibitions in Bucharest, Alba Iulia, Blaj, Paris, Franta, Szekesfehervarm in Ungaria, Italy and Belgium as well as group exhibitions in Europe and abroad. Alexandrun Radulescu Jr. was born November 1978 in Alba Iulia, Romania. He received his graduate education at the University of Arts and Design, Cluj Napoca, where he garnered his Masters Degree and PhD in Art. At present he is an Assistant Professor of Photo-Video-Digital Image Processing at the University of Art and Design (UAD) Cluj-Napoca. In 2011, he was presented in the Vice Chancellor's Lecture Series”, University of Salford, by the Romanian artist and professor Radu Cãlin Solovastru, of the Universitatea de Arta si Design Cluj-Napoca. Visual artist and design student Anca Sas was born April 1997 in Alba Iulia (Romania) with studies atthe Children’s Palace in Alba Iulia with additional studies product and graphic design at the University of Fine Arts and Design Cluj Napoca. Her international exhibitions include shows in Spain, Poland, Slovenia, Romania and Belgium. In the United States, she has shown at the University of Massachusetts, the New Arts Program in Kutztown PA, in New York City at United Nations Headquarters and the Rochester Contemporary Art Center in New York State.